You could be the proud owner of a baby Pteri if you bump into Boochi. There are four new Pteri themed books that are sure to make your Neopet much smarter - grab yours at the Book Shop now! Ok, so Pteri Day is technically the 8th, but as that is a Saturday we have started the celebrations a little bit early. All your opponents will be green with envy when they see your Pteri proudly sporting this new battle gear. If you are lucky you may just get a vist from the Golden Pteri! The Golden Pteri flies overhead and suddenly its raining Neopoints! 5,709 NP to be exact! He must like you. We have added a page of Pteri Day Poems!!! 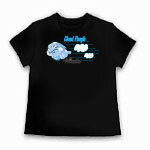 CLOUD POOGLE PLUSHIE - We know it's a Poogle, but we spoke to a whole bunch of Pterii and they said that we could put it up today, so thats fine. Click here to find out more information about our next cool plushie coming out this Saturday in Limited Too. 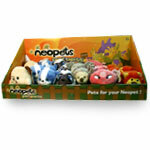 Also - MINI PETPETS!!! We have a new Mystery Pic today! The answer to the last one was 'The window on the Neohomes page'. Collect all the Haunted Woods Stamps and you can use this spooky avatar on the boards! 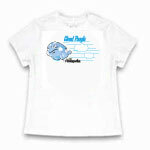 Also, to celebrate the release of the Cloud Poogle, these two T-Shirts are now available from 99 Dogs! Have your fed your Pteri any worms lately?!!? It's been a while since we posted this link - check out what sort of Neopian things you can get on eBay!! There is quite a lot of stuff there now. Shh... don't tell anyone but the Neocam has been updated. Pteris can be painted Shadow at the Rainbow Pool. 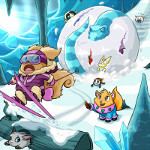 Even your shop can get into the swing of things with this new Pteri Shop Blog. The Art Gallery has a TWO page Pteri special!!! In the Battledome, Pteris take 40% less damage from air-based attacks. Wow! Today's Pet Spotlight award goes to Dunbeak, the Christmas Pteri. Cap'n Threelegs has kindly agreed to give Pteris free training today AND tomorrow at his Swashbuckling Academy. Pteris have three new Battledome Abilities - Pteri Flash, Pteri Air Shield and Pteri Glare. Now your Shop tells you how many items you have stocked, and how much free space you have. Also, inflation has caught up with the shops, and now it costs 200 NP per shop size to upgrade. All things must change with time, and this has been the way since the site started, so since everything else is now more expensive we decided to increase that too. The new Better Than You is out! Can you beat Barry at Attack of the Marblemen. 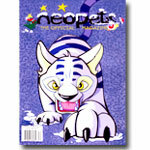 NEOPETS MAGAZINE ISSUE 2 will be out in the stores soon (we expect it to hit shelves around the 14th of November). It has the second half of our TCG listing, many many articles, a comic strip, a sneak preview of the new TCG Expansion, important information about dung, some of your pictures, and lots lots more!!! It's not too late to work hard on being a Plushie Tycoon, because if you do well you may just get this cool Chat Avatar. We have uploaded a new page of your Poems! Today's Site Spotlight award goes to Magicalellie and Macedoniane for Macedoniane's Apple Orchard. The Art Gallery has some new pictures on display. Now you can specify an offline or online message using your Site Preferences page! There are three new Tyrannian Petpets looking for kind owners. If you manage to complete your Tyrannian stamp collection you could earn this cool avatar. There is a new Neopedia article featuring the Neoschool art teacher Mr Lupid. Techos, Skeiths, Ixi and Grarrls can now own their very own set of specialised armour. On sale at the Defence Magic Shop now. This week's Neoadventure Spotlight award goes to Ultraanimefan1 for their adventure - The Magical Ixi. Stepping in front of Bastet the Ixi, you draw your sword looking all fierce and powerful as you're dertimined to protect and save her. Make your Neohome kitchen the place to be with these new pieces of Kitchen Furniture. Yay! We have a new Mystery Pic today. The answer to the last one was 'The High Score Chart Icon'. Angelpi, Babaas, Doglefoxes and Anubis can be painted Invisible at the Petpet Puddle. This week's Gallery Spotlight award goes to Btnuttier for their gallery Weather Watchers Window! The Trading Post will now automatically delete lots that have been up for over 2 weeks. This should make it a lot easier to find what you are looking for. Note - All lots will be removed later this afternoon so if you want to remove your items just to be on the safe side that might be a good idea. Flotsams, Lennies and Kois can now be painted with the Invisible Paint Brush. Congratulations go to Sir Lumley the Boween. They are the proud new owners of a Petpet Spotlight trophy! Behold (or rather don't) the Invisible Petpet Paint Brush! 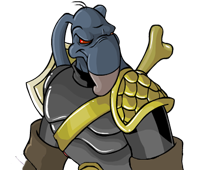 If you are very lucky you may unlock this new avatar when you fill up your Virtupets Stamp Album. Yay! The Slots are working again now! Prepare to lose lots of Neopoints! New avatar!!! Yes, we will be giving away an Chat Avatar when you complete each page of the stamp album. Today is the Mystery Island Stamp Avatar. The Brain Tree has some new rewards to give to kind Neopets who do him a favour... beware however, as they are very rare! We have updated the List of Stocks so that it doesn't show stocks that have gone bankrupt. We have some new Site Spotlight award winners - Yum_yums23 and Yummy_chias36. Scamanders can now be painted Blue, Pink and White at the Petpet Puddle. 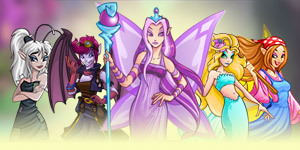 A Light Faerie has been added to our How To Draw pages. The Defence Magic Shop has four full sets of armour for sale, each one has been specially crafted to fit Usuls, JubJubs, Cybunnies or Aishas. We have added a lot of our newer products to our Online Catalogue. NEW LANGUAGE - Now you can play Neopets in simplified Chinese as well as English and Japanese! It's just a beta launch so there may be a couple of problems, but it's pretty much done. Traditional Chinese will launch in beta form in two weeks time. See, we have been busy :) If you know anybody who speaks Chinese why not let them know! Issue 115 of the Neopian Times is now out. This issue features an editorial section written by Adam!!! The Hi-Score Tables didn't get reset at the start of the month. We just reset them, sorry about that! NEW RANDOM EVENT - If you don't keep your Neopets happy, they may just turn Blue. PFurgle doesn't look very happy. In fact, he looks downright Blue. Maybe a toy would help. We will be celebrating Pteri Day a little early this year (on Friday to be exact) so you will need to start sending in your Pteri themed poems, pictures and spotlights very soon. If you are a balloon fan you will love these new designs that have just gone on sale in the Toy Shop. This week's Pet Spotlight award goes to two Draiks - Damion_Blaze468 and _Ukaisha_. The Haunted Woods map has been updated. Tonus can now be painted with the Speckled paint brush. All of our monthly Multi-player Tournaments have restarted. If you want to join a game, now is your chance. A rather spooky Neopedia has just gone live featuring the Ghoul Catchers. Make sure you vote in this week's Beauty Contest. A new Caption Contest has begun. A new month has begun and a new round of Plushie Tycoon has just started. As promised today's Art Gallery has a Pumpkin theme. A whole host of terrifying new dishes have gone on sale at the Spooky Food shop.